that Blocks and Rocks ! Welcome to SunTrooper® Sun Protection Factor 50+ Designer Swimwear Label. SunTrooper® is an an independent label, offering a bespoke designer range of SPF50+ Swimwear for Baby's, Kids and Teens. 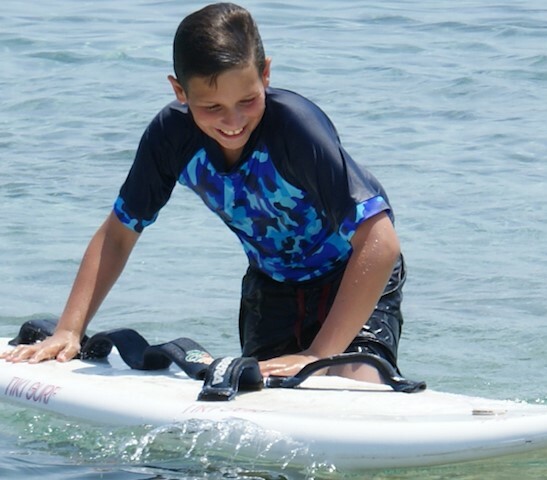 SunTrooper® specialize in high quality, fun and stylish UPF50 Swim Shirts and Shorts, for children from ages 1 to 16 years. For our sun protection swimwear clothing we have carefully selected the very best quality Italian UV50+ Certified Hi-Tec fabrics, swimwear fabrics that are made specifically, both through the knitting and dying process, to meet the Ultra Violet Protection Factor UV50+ standard of Australia, AS/NZ 4399, blocking 97.5% of UVA and UVB sunrays. This fabric uses a very fine thread which has been very densely woven, and dry's quickly. SunTrooper® products are Chemical Free, there are no UV absorbing chemicals added to the fabric after production, making them the ideal choice for sensitive, delicate young skin. ÖkoTex 100 safe. The SunTrooper® Collection has been designed with special attention to detail. Focusing on quality, FUNction, comfort, and style. 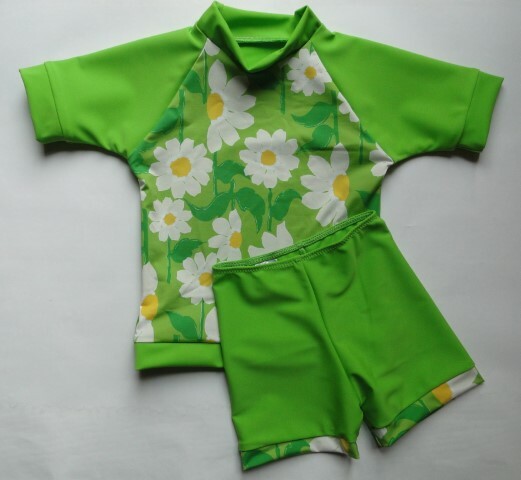 SunTrooper's Mix-and-Match Range of UV50+ Sun Protection Swimwear clothing has been designed to be form fitting and incorporate stylish cuts appealing to children of all ages, our fun colorful designs make sure kids look great and will want to wear their new sun-protection swimwear. 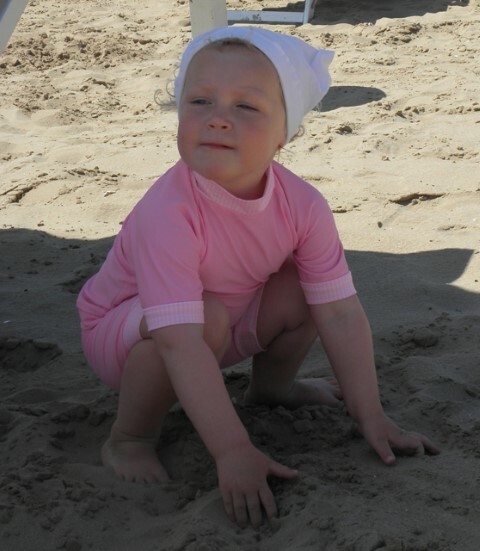 Our garments are wearable for all occasions in the sun and water, whether at the beach, playing in the garden, on a boat or by the pool, or outdoor play, anytime when Children need extra protection from harsh UVA abd UVB Sun rays. 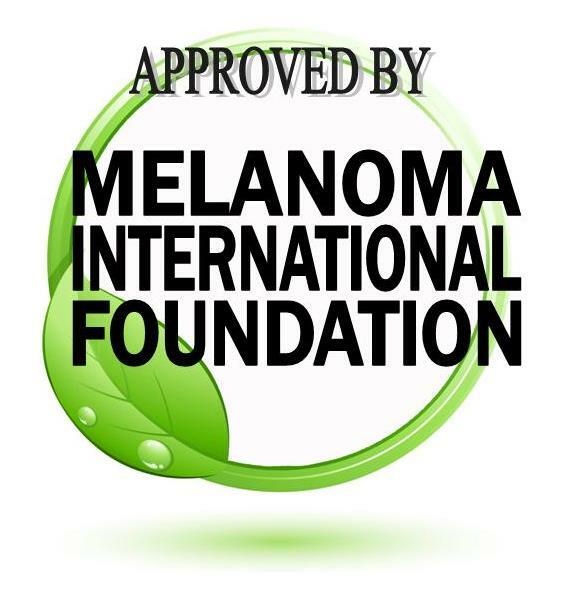 Our "Mission" at SunTrooper® is to make sun protection swimwear, the "only swimwear" of choice, for parents or carers, all around the globe. SunTrooper® believes in supporting "Sustainable Fashion". We are committed to doing our bit for the enviorment in achieving as low a carbon footprint as possible during the manufacture of our ranges, we source as locally as possible, supporting local businesses and industries. All SunTrooper® garment design and production is located in Germany.